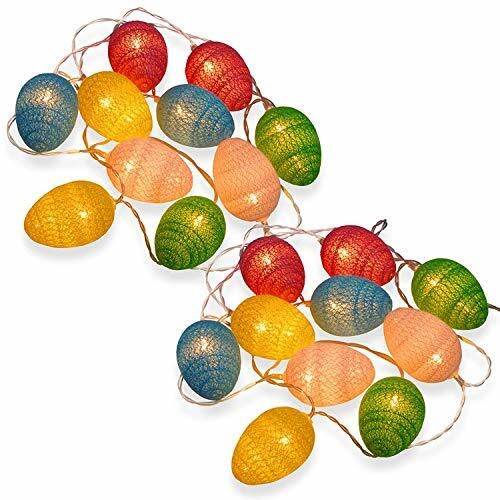 This adorable string light is in Easter egg shape, looking more attractive than usual one. 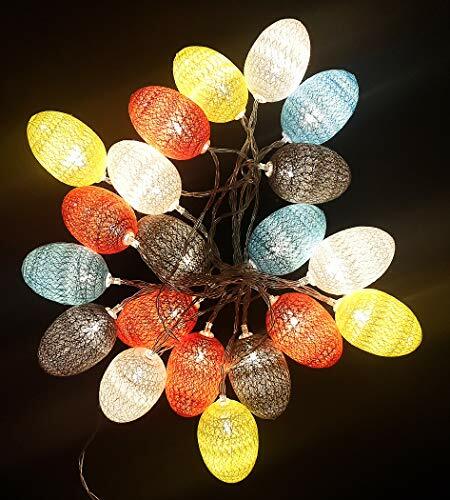 and also bright enough to light up your garden, home, yard, etc. Perfect for decorating your home, garden, yard, landscape, hotel, restaurant, mansion, club, dance hall, concert and even presents. - Size: Approx. 18 * 15 * 15cm/ 7 * 5.9 * 5.9 inch (L*W*H). - The battery is not included. ?CONVENIENT CONTROL? 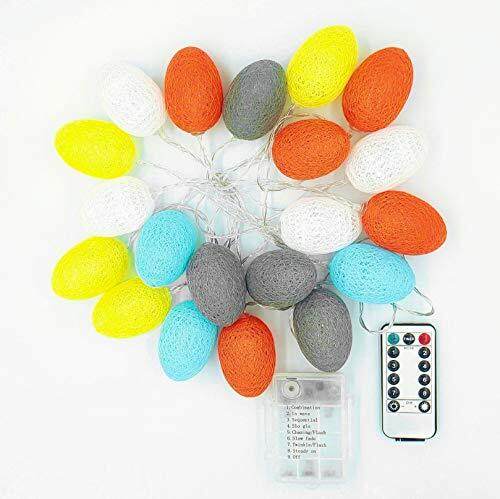 Ever Smart 20 LEDs Easter Light come with a remote control: it has timer and mode-switch functions.When you are applying these lovely LED lights, it can adjust brightness and control the flicker speed and has eight functions.Requires 3 AA batteries(NOT included). Easy to use and operate. 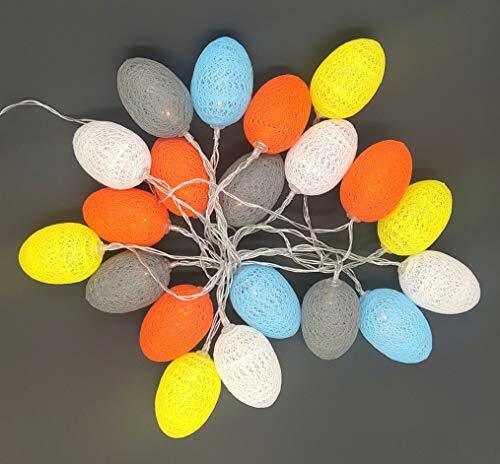 ?WATERPROOF?With IP44, it is safe to be used outdoors and the Easter Egg Light String will not be soaked under water. 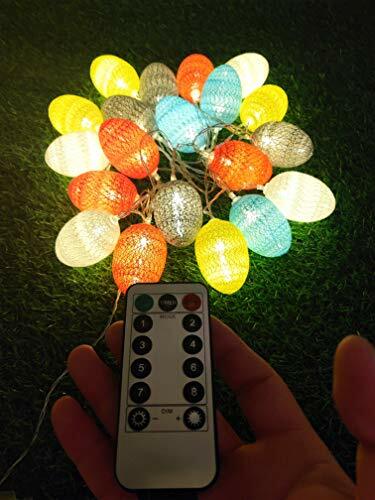 ?SAFE TO USE?20 bulbs/10.8ft(3.3m),Energy Saving and Environmental Protection,Does not contain ultraviolet and infrared light, no radiation, no pollution, protect eyesight. 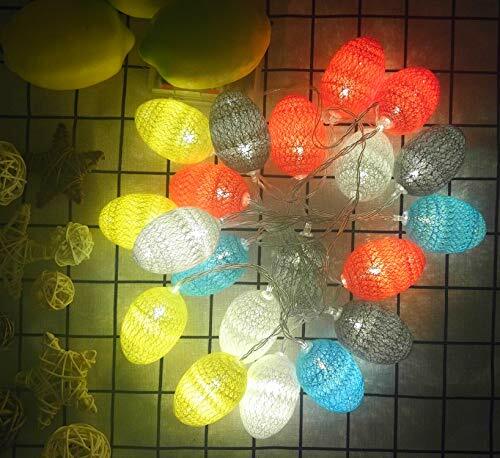 ?CREATIVE DESIGN?This adorable string light is in Easter egg shape, looking more attractive than usual one, Easter egg shapes lights is a perfect decoration for your garden, porch, bedroom, door, tree, etc. ?LIFETIME WARRANTY?Easy-to-reach support, solution will be offered by our friendly customer service within 24hrs,and it is FBA distribution, logistics speed is very fast.